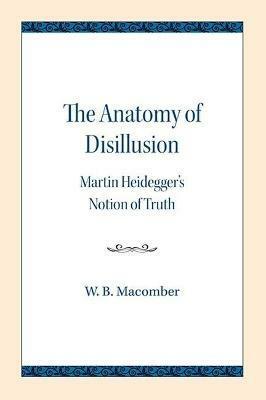 The Anatomy of Disillusion is an introduction to Heidegger's phenomenology that focuses on Heidegger's notion of truth. Unlike many of his contemporaries, W.B. Macomber presents Heidegger as a systematic thinker, whose phenomenology is inextricably bound up with his ontology and epistemology. William Burns Macomber (1929-2009) taught philosophy at Toronto Pontifical Institute, where he earned his PhD, and at the University of California-Santa Barbara.